It’s been several days since my first Oktoberfest experience and the recovery process is not going well. This is Oktoberfest! One of the biggest parties on the planet, Munich's 201 year old, three week festival of beer attracts tens of thousands of Australians amongst the millions of visitors every year. Oktoberfest is on and to celebrate, we reveal what makes Munich's Beerfest one of the "greatest festivals on earth". So, you're off to Oktoberfest in Munich? 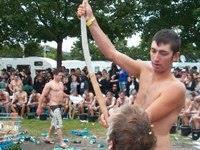 Here's the ten best ways to make the most of the Beerfest debauchery. Aaah, Oktoberfest. It’s a time for beer, pork, buxom serving wenches and, well, more beer. 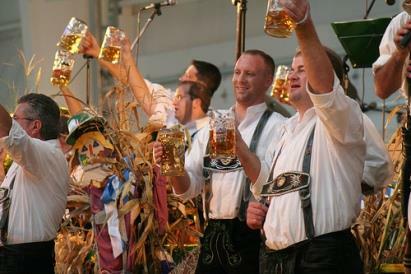 The Bavarian festival represents a slice of barley-soaked heaven to which we all wish we could escape more regularly. 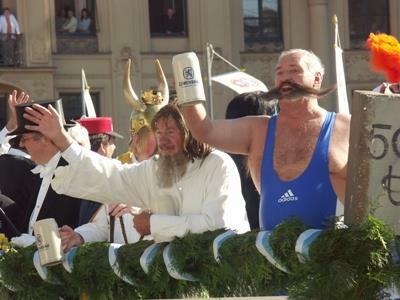 OKTOBERFEST | One of the most vulgar displays of Antipodean binge drinking is being beamed into German living rooms. Should we be concerned about the 100 Club? Planning a trip to Munich for Oktoberfest? There’s more to it than the beer. Familiarise yourself with the intoxicating Bavarian capital before you go. Three things to do before you die: run with the bulls in Pamplona, throw a tomato at La Tomatina and down a stein of beer at Munich's Oktoberfest.